The 50-pin narrow SCSI hard disk interface found in the SE/30 is now obsolete. It is difficult to buy new drives with a 50-pin SCSI interface. While it is possible to buy second hand drives, but these are unreliable. 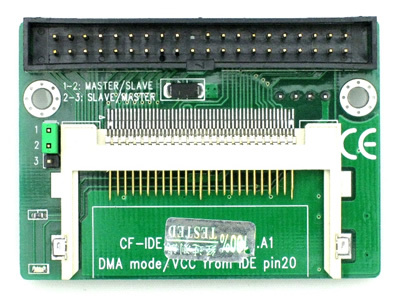 Modern 68 and 80 pin SCSI drives are available for use in servers, however, they are very expensive, their capacity is far beyond that needed for a SE/30 and they don’t adapt easily to common interfaces like USB. The challenge is to replace the obsolete 50 pin SCSI interface with a modern interface and to replace spinning hard disk technology with solid state storage. I-O DATA R-IDSC SCSI to IDE adapter (this is the most important component of the entire project), I’m indebted to the Rob Braun who wrote some very useful material on this subject, you will find his pages linked here and here. You also need a IDE to CF adapter, anything will do, I got mine from eBay for $2. More detail of the jumper settings can be found here. You need a Mac that can run Mac OS 7, 8 or 9 with a CD-ROM drive containing the software listed below, (you can use floppies, I didn’t, because I don’t own any). Other people have used an external SCSI drive like Syquest or Apple SC to format their CF cards but I could not find one so I used a Power Macintosh 7200/120 instead! Harddisk formatting software, I used FWB Harddisk toolkit 1.6, others have successfully used Patched Apple Tools and Rob Braun recommends Lido 7. I partitioned the formatted CF card into 4 equal partitions, the first partition is the one your Mac will read by default. Don’t use Mac OS X to format your CF card. 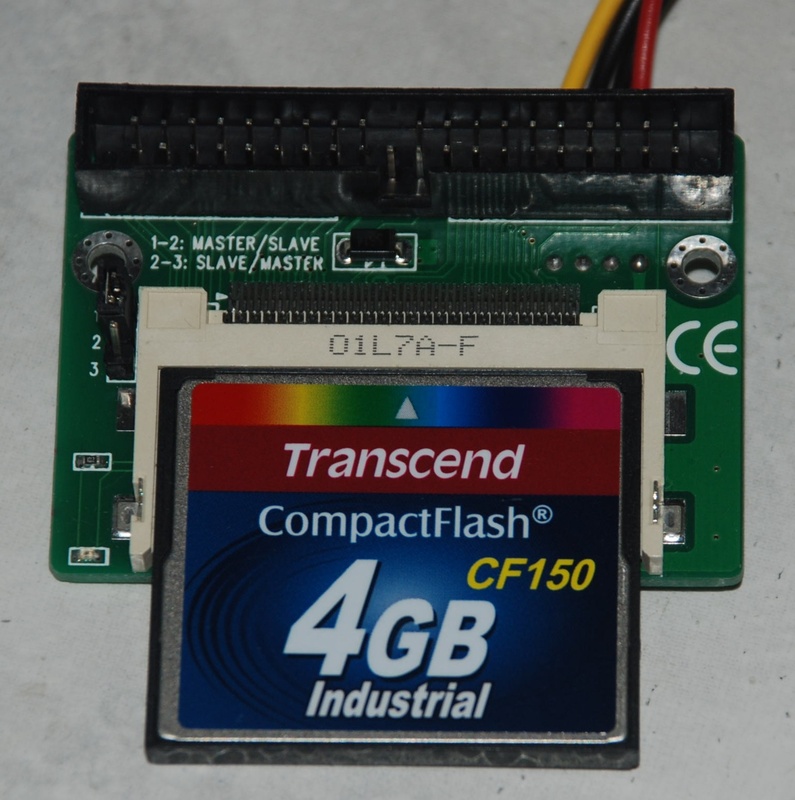 This entry was posted in Tech and tagged cf card, compactflash, Macintosh, Macintosh SE/30, scsi, ssd. Bookmark the permalink. Hi there, I just stumbled on your website with a random google search, and I see that we have some common interests. 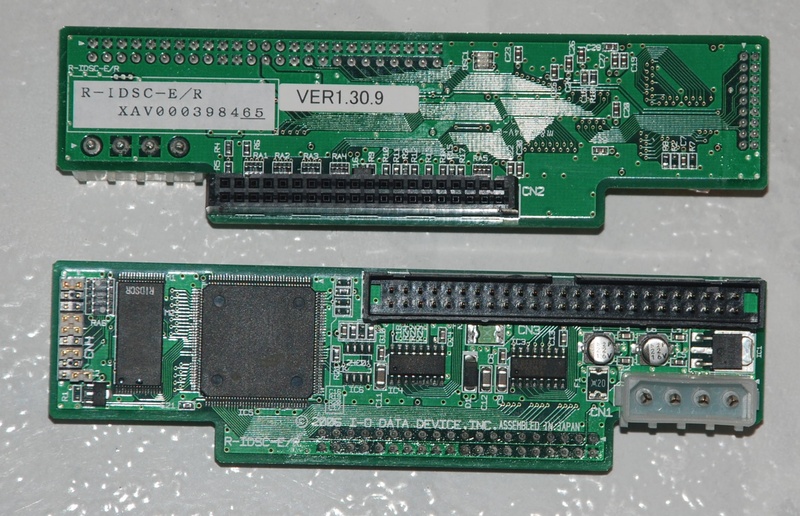 I have recently picked up an SE/30 and I’m planning on doing the CF SSD upgrade as well, though I bought one of these CF Aztecmonsters http://tinyurl.com/7kc2atz since I know it’s hard to find ide-scsi bridges nowadays. I was wondering why you picked the particular flash card you did? 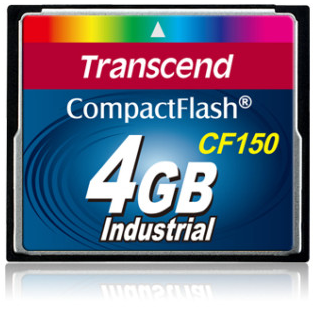 I assume you got the industrial for the longer life expectancy, but my transcend, and why the 150 model, not the 160 or higher? Compatibility? Price? Thanks for your kind words Dylan. I too wanted to buy an AztecMonster for my SE/30, however, at the time they were sold out, so I decided to go down a different route. If you planning to run System 7 on your Macintosh SE/30, the largest bootable volume is 2Gb. So unless you want more than 4 partitions, a 4 or 8Gb card is about as big as you need. As for speed rating, as you will see from the threads above, most cards commonly available are much faster than SE/30 can possibly handle. As for industrial, it just means that there is in built wear leveling for long term reliability, if you don’t plan to use it daily, this doesn’t really matter. I did this for my NeXT cube. It is now silent and much faster than before. I love it!